Despite all the hysteria about ‘death panels’, there is a critical need for each and every one of us to thoughtfully consider end-of-life plans. It’s an uncomfortable subject for most people. But avoiding the subjects of where we want to spend our final days and how, what kind of services we want held, and how we want to be remembered will not make them go away. “In 2009 the National Council for Palliative Care (NCPC) set up the Dying Matters Coalition to promote public awareness of dying, death and bereavement. Our members include organisations from across the NHS, voluntary and independent health and care sectors (including hospices, care homes, charities supporting old people, children and bereavement); social care and housing sectors; a wide range of faith organisations; community organisations; schools and colleges; academic bodies; trade unions; the legal profession and the funeral sector. The Coalition’s Mission is “to support changing knowledge, attitudes and behaviours towards death, dying and bereavement, and through this to make ‘living and dying well’ the norm". This will involve a fundamental change in society in which dying, death and bereavement will be seen and accepted as the natural part of everybody’s life cycle. 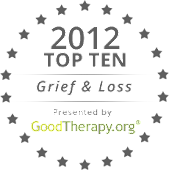 Changes in the way society views dying and death have impacted on the experience of people who are dying and bereaved. Our lack of openness has affected the quality and range of support and care services available to patients and families. It has also affected our ability to die where or how we would wish. May 16-22 is “Dying Matters Awareness Week”. On their website, www.dyingmatters.org, you will find materials and resources for helping make those important decisions: for yourself, your family and even your friends. A good reminder to confront this issue before it is too late. You're right, Pat. And there's a place for friends, too: encourage each other to make those plans, and do what you can to honor them. Thoughtful post. It's definitely a delicate subject, but as you articulate, one that requires a proactive mindset. This is a great reminder of the importance of having "the" discussion while the person can verbalize his/her personal wishes.We're all going to die-might as well do it our way. Yes it is a delicate topic but not faci.g it will not make it go away. Thanks for a thought-provoking post!